In a world of magic, in an empire built on intrigue, a young girl named Amarta sells her visions of the future to keep her family from starving. But when Amarta comes to the attention of those with wealth and power, her visions will not be enough. In a tapestry of loyalty, magic, and gold, Amarta becomes the key to everyone’s ambitions. To survive, she must do more than predict the future. She must create it. 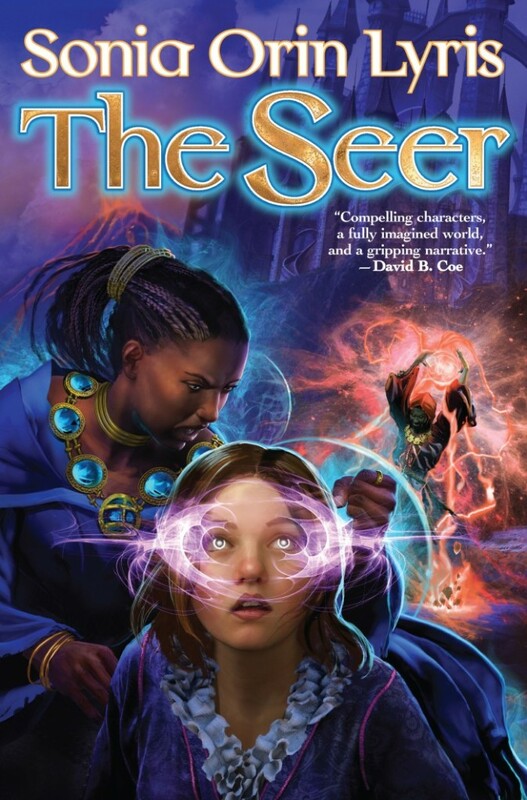 Book One: The Seer is available from Amazon, Barnes & Noble, Baen Books, University Bookstore, Elliot Bay. The Seer Prequel Story, “Touchstone“. Two rural boys must find their way in the world of the Cohort palace intrigue. The author: Follow my mutterings and ramblings on facebook or twitter. Want more, and exclusive insider info? Sign up for the newsletter. Cover art courtesy of artist Sam R. Kennedy.